On June 18, during the year 1815, Napoleon Bonaparte led his men to battle against the English and Prussian militaries. The Duke of Wellington along with Gebhard Von Blucher led the English forces. Napoleon’s army began strong as he was guiding a militia of at least 72,000 troops against the British military of 68,000 men. Unfortunately, for Napoleon, the battle began to turn against him after his army dealt with bad weather, poor fortune and damaging decisions made by some of France’s generals. The British army also received help from the Prussian Forces. In fact, at least 50,000 men arrived in support of England. When Napoleon’s troops faltered, the famed general was driven from the Waterloo site. After the Waterloo conflict, the Bonaparte sovereignty ended, which gave the Western States back their power. In 479 BC, one of history’s most fatal conflicts occurred during the Battle Of Plataea. The crusade was between the Persian Empire and the united Greek kingdom. An estimated 10,000 Spartans along with 30,000 Greek soldiers fought against Persia’s 120,000 troops, which were commanded by General Mardonius. Despite the overwhelming number of the Persians, the Athenians and the Spartans knew more battle tactics, had a greater number of weapons and arrived with a higher level of morale. The battle is one of history’s most crucial conflicts due to the prevention of Persia invading Greece. Today’s Western culture can be traced back to Greece overcoming the Persian army. On August 2, 216 BC, the Battle of Cannae began with an enormous Carthaginian army. The army’s general was Hannibal Barca, who led his troops to victory during one of the greatest tactical military operations ever achieved. Barca’s soldiers used hundreds or maybe thousands of military war elephants and marched over the peaks of the Alps. With this strategy, he was able to enter Northern Italy and attack the Romans at Cannae. Barca’s men slaughtered an estimated 70,000 out of 87,000 Roman soldiers. In fact, several researchers believe that the Cannae battle has the world record for the most people killed during a battle in one day. With the most casualties that occurred during the American Civil War, the Battle Of Gettysburg also became one of the most pivotal. The conflict was between the Union army and the Confederate troops. During the South’s main assault, over 12,500 Confederate soldiers attacked the heart of the Union’s formation. However, the strong Union Artillery repelled the charge, which caused a monumental loss for the Confederate army. Once the bodies had been counted, the Union army lost 23,055 troops while the Confederates suffered a loss of 23,231 men. The defeated Southern army officially surrendered several years after the Gettysburg battle. The most vital battle of recent history is the Battle Of Stalingrad, which occurred from July of 1942 to February of 1943. As one of the goriest battles to have ever occurred in human history, it became a key turning point during World War II. Hitler ordered over one million soldiers to invade Russia. 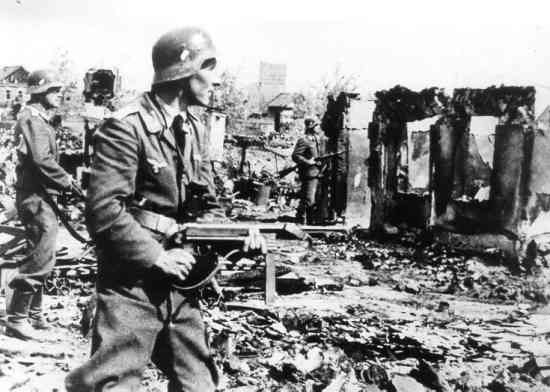 However, the German troops were stopped in Stalingrad by the Russian army and were unable to travel farther into the country. The Russians won the battle at a cost of 1,130,000 slaughtered soldiers, 40,000 civilian lives lost and 10,321 downed aircraft. Germany was forced to retreat, which weakened Hitler’s army and prevented the dictator from gaining world power. Yesterday’s battles are a brilliant way for today’s scholars to learn from the past’s mistakes, clever decisions and victories. Chris Hill is a military historian and guest author at MilitaryDegreePrograms.org, a site with information and guides to top-rated online military degree programs.